North Head, a military outpost at Devonport, Auckland, New Zealand. My hometown. 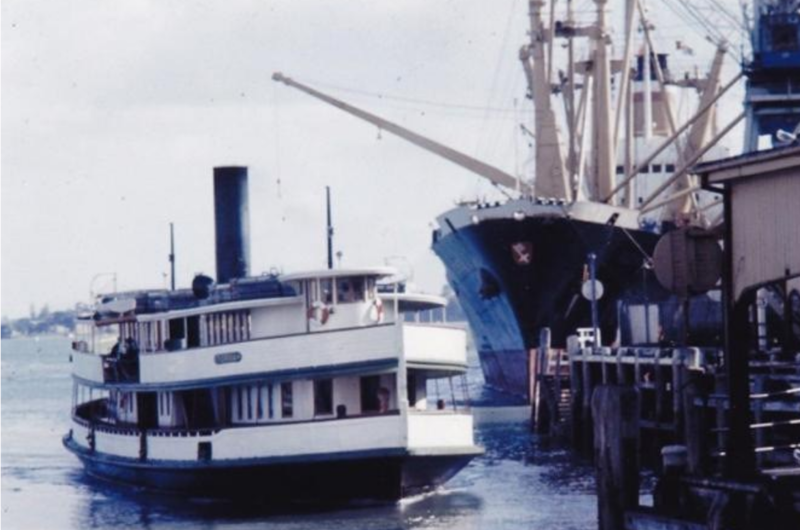 The old Toroa - the last steam engine ferry in Auckland. I was born three months before the bombing of Pearl Harbour in Hawaii. I've been there and cried. I could still see the sunken ships. I was born in Putaruru in New Zealand. It was a warm September night. Mum chose a homebirth but the doctor was half drunk, drove off the road and never arrived. Thank God for a marvelouis midwife, Nurse Hayman. Our family of four lived in Devonport for my young years. Right on the harbour's edge. Me and my brother loved it. Swimming, sailing, fishing from the wharf, catching the beautiful double-ender ferryboats to school. When I turned 17 I went to the Seminary in Christchurch and for seven years trained to become a Catholic Priest. Then thirty amazing years in many parishes leading a life I loved. But in 1990 I felt so restricted I knew it was time for me to move on. My life exploded. Radio, Television, writing, Youth leadership training. Training Coporate leaders, Life Coaching and now a very happy retirement. In my new way of life I've been looking for an outlet for my "song". Somewhere the God-given creativity in my soul could flow. I found one, it's called Fine Art America. FAA is the world's largest online Art publisher. I love it, fulfilling my aspiration to upload at least one piece of art every day. Photos, digital designs, landscape montages, something inspirational and uplifting. ​Here's my latest work of art.